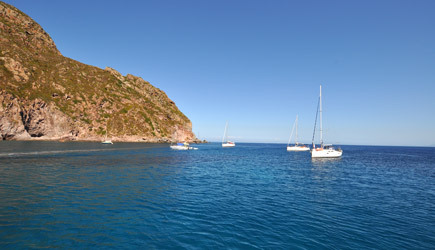 Corsica is an island ideal to explore by yacht. It offers beaches and coves dream, many shelters where you can anchor in safety and a rugged coastline and pristine. To get there from Liguria we make a night crossing. We start in the evening to reach the coast in the morning. is a journey more challenging than others but always within the reach of everybody (including families with children). 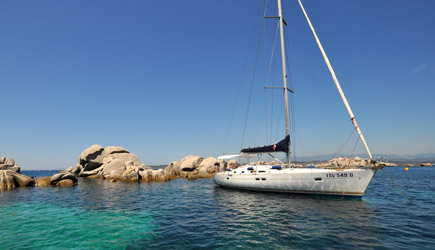 It is an unforgettable holiday: who loves the boat and nights under the stars can not miss a trip to Corsica sailing. Boarding in Finale Ligure (SV) at 18:00 and overnight on board. Departure early to Corsica. We will arrive at 18:00 in Centuri or Macinaggio, in time for a nice bath and to prepare a nice aperitif in the cockpit. Night in the port or in the bay. Sailing to Saint Florent along Cape Corse, stopping to visit some wonderful bays. 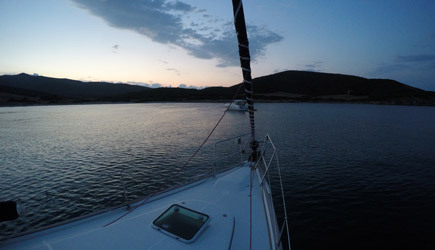 Night in the Gulf of Saint Florent, we will descend with the tender to visit the village. Sailing to the west, stopping at the famous beach of Saleccia and in some nearby bays and beaches. Night in the bay of Ile Rousse possibly in port or anchored in front of the village. Sailing to North visiting some nice bay for swim, snorkeling and lunch. Night near Cape Corse, possibly in Barcaggio or Macinaggio. We return to Italian waters heading for the island of Gallinara. Also this time we will arrive in time for a swim and a nice aperitif before entering the port in Alassio. Start in the morning to be in Finale Ligure around 11:00 am. Price include rent of boat, Skipper, Sheets and final cleaning. Not included port tax, food and diesel. 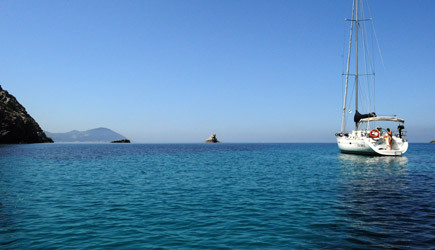 To book our sailing holiday is necessary an account of 30%. Payment on board. This itinerary takes you to circumnavigate all over Corsica coming to the Strait of Bonifacio and the Maddalena archipelago. is a very exciting travel that allows you to explore the coast of Corsica, with its dream beaches and its pristine coves and the beautiful archipelago of La Maddalena. After boarding in Finale Ligure (free parking), departure for the night crossing to Corsica. The first few days we will follow the stages of the itinerary of one week as S.Florent, Ile Rousse, Calvi, the Girolata and Cargese stopping bays and coves that extend into this fantastic coastline. Instead of returning to the north, we will continue south to the Gulf of Propriano and then arrive in the Strait of Bonifacio and the Maddalena archipelago. We'll spend a few days exploring the islands of this famous archipelago: Cavallo, Lavezzi, Isola Piana and natural pools of Budelli. 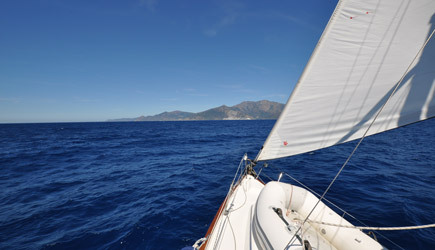 In the second part of holiday, we'll sail the east coast of Corsica also touching Elba Island and Capraia Island. 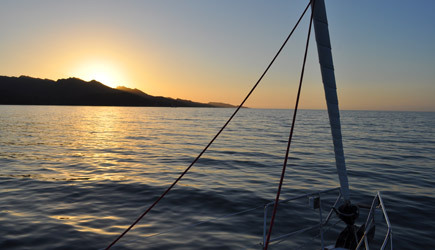 We will return to Finale Ligure with a night crossing from Corsica or Capraia. Disembarkation Sunday at 12:00 at the port of Finale Ligure.